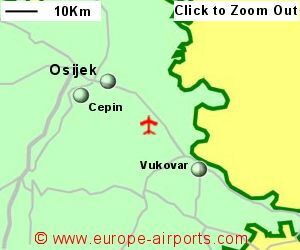 Find and compare the best prices from a range of well known car rental companies at Osijek Airport. This is a free to use facility, enabeling you to book direct with the company quoting the price. 43,000 passengers passed through Osijek airport in 2017, a 41% increae from the previous year.